FANBOY PLANET.com . : rb-Episode 5: Power Mitt Oven Glove and Coup Reformation :. Fanboy on Kickstarter, we're meet again! As we continue our Fanboy on Kickstarter articles, I renew my goal to clue you into some of the prime Kickstarter Fanboy opportunities. I scour Kickstarter for projects that will appeal to the Fanverse in the area of comics, games, media and gadgets. For more information, check out the last column! Last week I was asked why I didn't cover IndieGoGo or Humble Bundle projects. There are two different answers there. I've funded IndieGoGo projects before, but I'm always a little cautious about "Flexible Funding" projects where the project owner can walk with the money without delivering anything to the contributors. Not saying that the model is inherently bad, and I know they have a Fixed Funding option that is similar to Kickstarter, but it makes me slightly uncomfortable. And I generally think better projects end up on Kickstarter. But this week I found somethng I really like on IG, so I'll clue you in below. But again, if you see something that you think would make a good recommendation, just use the link at the bottom of this article to let me know about it. This week, I highlight projects in the areas of Toys and Games. Both will fund within the next few weeks on April 15th and May 5th, so you have time to review and decide for yourself if these are too good to be missed! 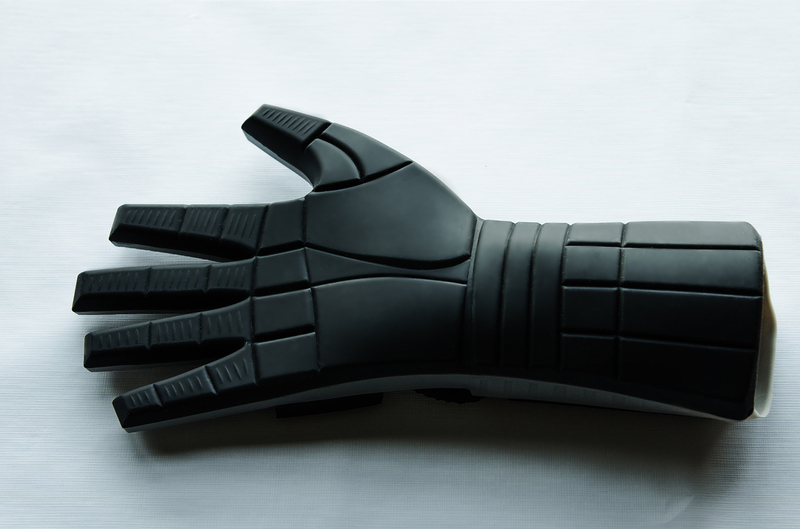 No sooner than I wrote the paragraph on how I didn't think IndieGoGo was as interesting as Kickstarter, I came across the PowerMitt Oven Glove. 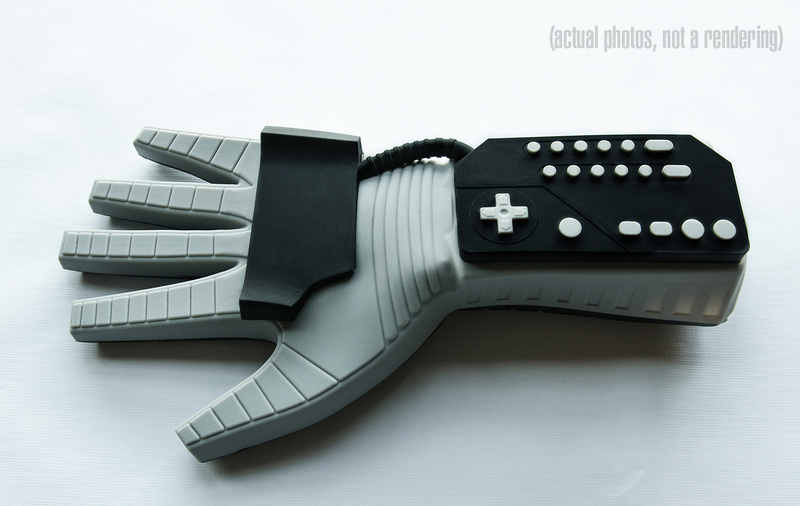 Fashioned after the Nintendo game accessory from the '80's, this looks to capture the cool look of the glove with none of the actual functionality. It's an oven mitt, made to keep your fingers cool as you deal with hot plates. But that's not to say it couldn't be worn by the average fanboy wandering around the floor of Comic-Con, or made the perfect accessory for your geek cosplay outfit. Pretty much the baddest oven mitt ever made. $39 - preorder for one oven mitt, including shipping. They've just crossed over their funding goal, and since this is a Fixed Funding project, they won't charge you unless they have completed that goal, so all good here. It's retro and cool. If you're old enough, it's the toy your mother wouldn't buy you. Originally designed as a controller and motion detector for Nintendo's original game system, the Power Mitt Oven Glove is chock full of salty retro goodness. And here's the Oven Mitt. Funding on this is pretty straightforward. $39 gets you a glove... er... mitt. You can bump your order to $69 for two, but remember they're both going to be right hands. From completion of the project it looks like a bit over 4 months for delivery. If this is tickling your inner gamer, go for it. And send me pictures from your first gamer bar-b-que! Indie Boards & Cards has done almost a dozen Kickstarter projects for their games, including Coup which funded last year. 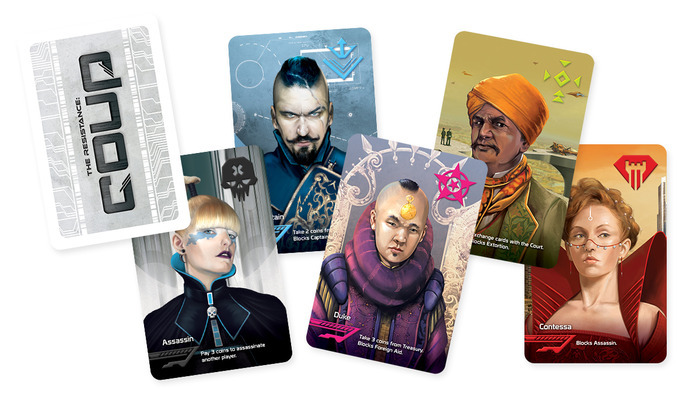 Coup was a sequel/revision of their popular The Resistance card game. While Coup Reformation is an expansion for Coup, this project has a level where you can get both the base game and expansion for a low kickstarter pledge. Reformation adds Allegiances – players are either in support of the government (Loyalists) or the resistance (Reformists).Reformation also includes the Inquisitor variant, and additional role cards to expand play up to 10 players. $30 - gets you both the base game and the expansion. it also gets you access to more add-ons than we can list here, so check it out if you decide to fund the game. Their goal of $6000 has been smashed, they're closing in on $70,000. As I mentioned, they're very experienced at fufilling their games and the component quality is top rate. The Resistance: Coup In the not too distant future, the government is run for profit by a new “royal class” of multi-national CEOs.Their greed and absolute control of the economy has reduced all but a privileged few to lives of poverty and desperation.Out of the oppressed masses rose The Resistance, an underground organization focused on overthrowing these powerful rulers. The valiant efforts of The Resistance have created discord, intrigue and weakness in the political courts of the noveau royal, bringing the government to brink of collapse. But for you, a powerful government official, this is your opportunity to manipulate, bribe and bluff your way into absolute power. And if you want a celebrity endorsment for Coup, here's Wil Wheaton, Allison Scagliotti, Ashley Clements, Amy Okuda and Felicia Day play the original game The Resistance on Tabletop. While not the exact game you're funding, this will give you a good idea as to what play is like. But remember those add-ons we mentioned earlier? Yes, The Resistance is another game you can add to your pledge. So, while we're just recommending the Coup and Coup Reformation this week, you may want to go the extra yard to pick up The Resistance as well. That's it for this week. Again, send me your feedback and your own Kickstarter picks via the Fanboy Planet Facebook page! By the way, did you catch the April Fools Day recommendation? That's right! There wasn't one! The oven mitt is TOTALLY LEGIT!